Very Very Vicky: Yaaay! Wooohooo! Applause! 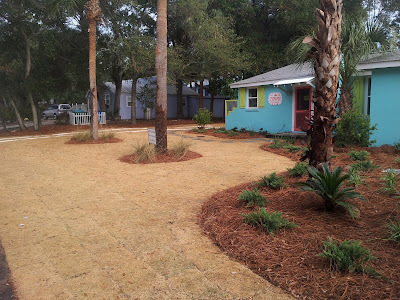 It has taken a while to show you through the process of bringing the yard at The Coral Cottage back to life. 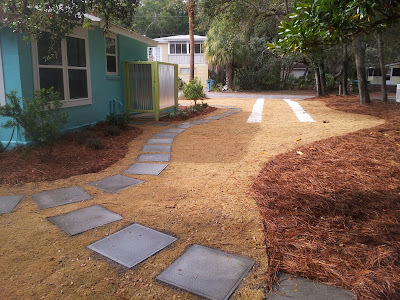 It was quite a job and unlike my lengthy blog posts, the installation of this project was accomplished fairly quickly--in about a week! 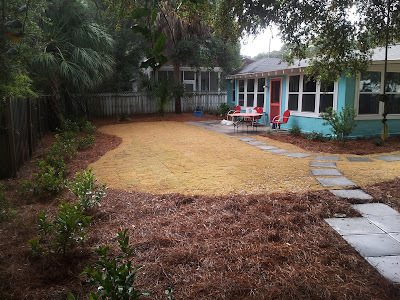 With thanks to Bill Griffin of Griffin Landscape Design and Contracting for many of the photos of the finished yard, here's The Coral Cottage yard Before and After! Ta Daaa! 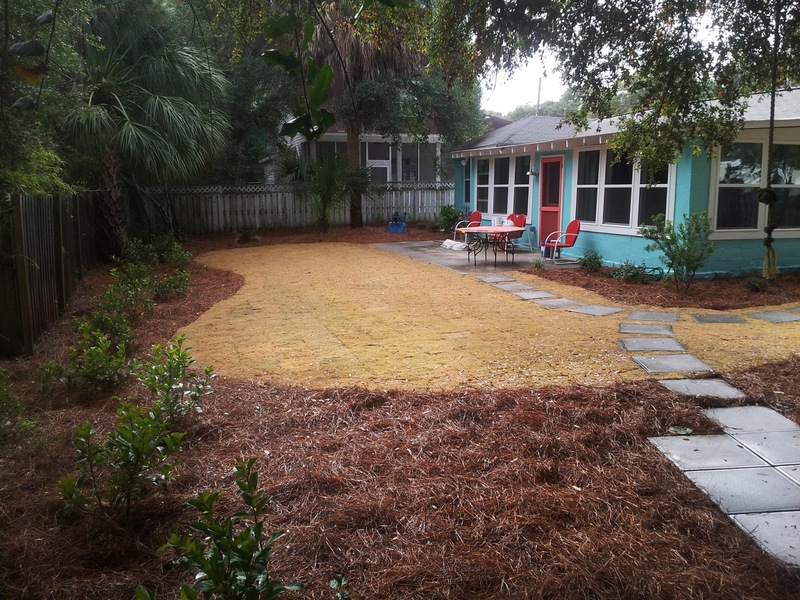 BEFORE--the yard was all sand and sand nettles with one small palm tree and a broken up sidewalk. One more AFTER picture from another angle. AFTER--you can see the outdoor shower on the left against the house! So that's it! And here are the men that deserve all the credit! Yaaaaay! Wooohoooo! Applause! Take a bow guys--you deserve it! Nothing short of amazing transformation! 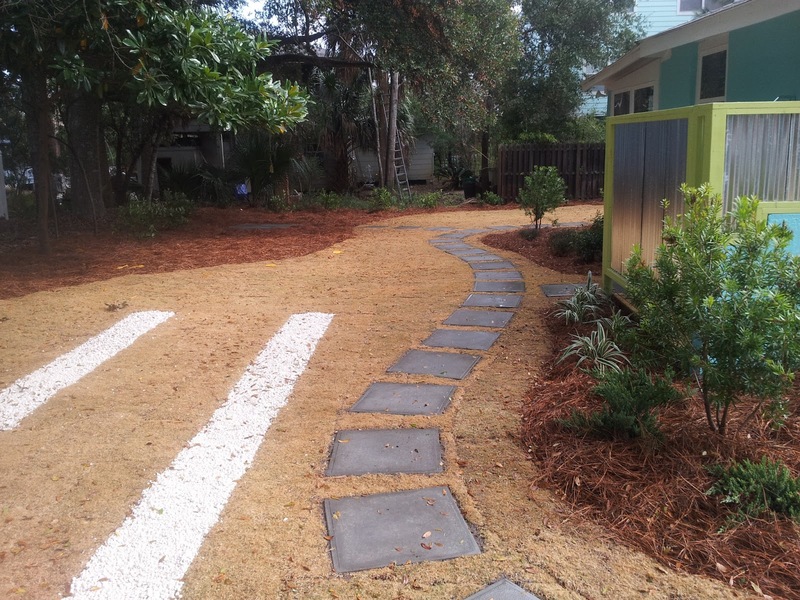 Great Job Guys, So much more interesting than a basic yard and I love the curves. 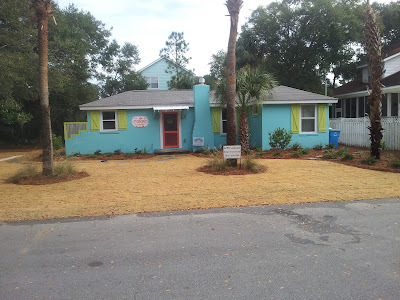 It has been so fun following your progress. Thanks Janet--I hope Bill and the guys get to read your comment!